Finally I’ve cleaned up and updated this very website. It was in quite a poor condition – for a web developer’s website – content wise and software wise too. I am rolling on the latest WordPress for extra smooth blogging and cleaned up the About and Portfolio sections and added new content. I can’t believe the last post here is from May 2008. That’s quite a while. So what have I been doing all the time? 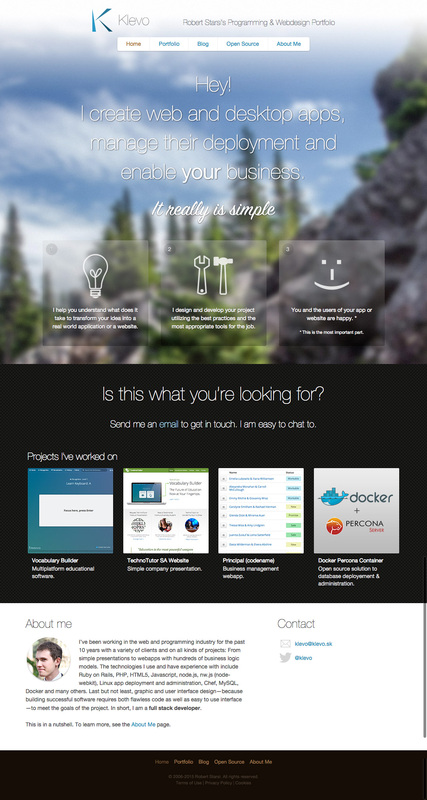 First off I got my first open source project going – Wildflower. It’s my vision of what a web CMS should look like, although that vision has and is changing along the way. I am really happy how it turned out, especially the responses from the community. People build sites with it and I really enjoy comments saying that it’s the most rapid to develop with CMS. Of course, I’ve been busy with client work. Done some nice projects like Clever Twist, SunMaid Site, Picture Window Productions. All powered by Wildflower. I’ve also fucked some things up and learned how to really disappoint a client. These are as worthy lessons as the successes in my book. That’s it for now, time to cook some launch. Breaking the 200+ unique visitors a day! I deployed the new design for my blog. I was aiming for a clean, easy on eyes and foremost usable one. I am quite happy with it. There is still some work to be done but basicaly it’s finished. How do you like it? I plan to distribute this as a WordPress theme (with a few modifications). With the new design comes one big change — I am going to write this blog in english from now on. The goal is simple. 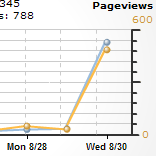 I want my blog to be as much popular as possible. Note: This article is in slovak language. Konečne po dlhom čase som sa rozhýbal a kúpil poriadny hosting a vlastnú doménu. Toto je len prechodná verzia stránky. Ako ste si možno všimli beží tu WordPress a asi to tak aj ostate. Akurát sa zmení téma na nejakú custom made. Oproti môjmu starému blogu, ktorý v čase písania ešte stále beží, sem pribudnú nové kategórie a dúfam, že bude aj aktívnejší.